The Foresta Collection is a woodlands inspired collection featuring pieces with a woven border complimented by pinecones and boughs. 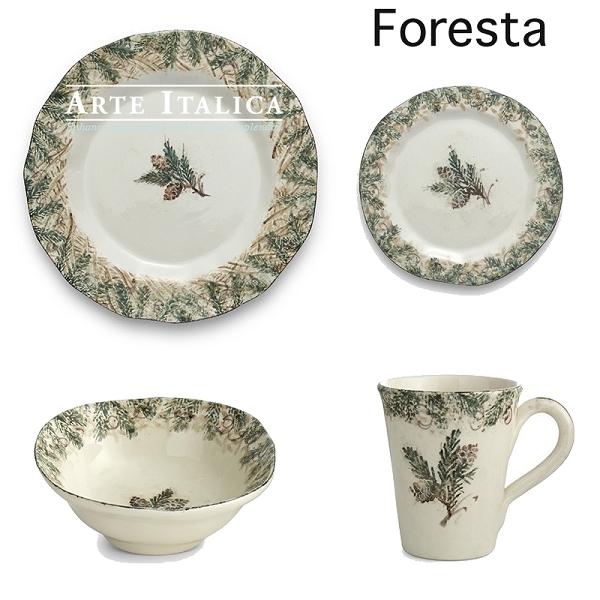 Foresta can go from everyday to holiday when you mix in other collections from Arte Italica! 4 piece place setting includes the dinner plate, lunch plate, mug, and cereal bowl.